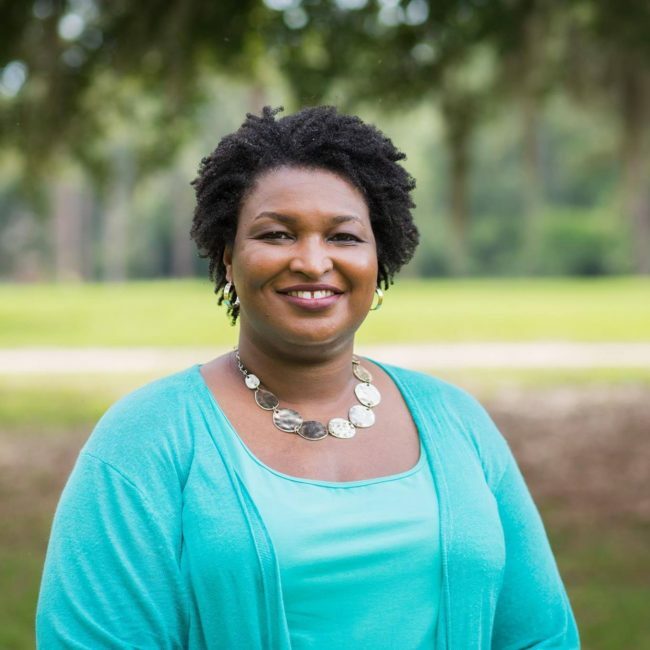 Georgia’s Democratic Gubernatorial Candidate and anti-voter suppression activist Stacey Abrams. The first African-American woman to secure a major party’s nomination in a gubernatorial race just made a different, more salient type of history that will be remembered for decades to come. Trailblazer Stacey Abrams stood up last week and, even as she ended her bid to be Georgia’s next governor, acknowledging she would fall just short of the votes needed to beat Republican Brian Kemp, she refused to concede, rightly saying that “democracy failed Georgia” and demanding integrity, fairness and accountability in a political environment run amok. A Mississippi native, Abrams will go down in history as a candidate who like her foremother Fannie Lou Hamer was sick and tired of being sick and tired and fought for the rights of the disenfranchised. Fighting an uphill battle in an election dogged by classic voter suppression tactics and a clear conflict of interest—as her opponent oversaw his own election as secretary of state—Abrams did not back down. While Kemp’s camp called Abrams’ demand to have all votes counted a “ridiculous temper tantrum,” Abrams knew that her demands were about more than just winning her race. Counting votes is about justice for those who need it the most—the historically disenfranchised. Abrams spoke up for those literally living on the margins of society, giving voice to their right to have a say in how their lives are lived. Her refusal to toe the line and allow the democratic process to be perverted resuscitated the campaigns of other candidates. Abrams “tantrum” is part of why Lucy McBath, who ousted GOP darling Karen Handel, will now fight for common sense gun laws while representing Newt Gingrich’s former Congressional district. Read the article in entirety at The Daily Beast.